Special Hazards | A&D Fire Sprinklers, Inc. 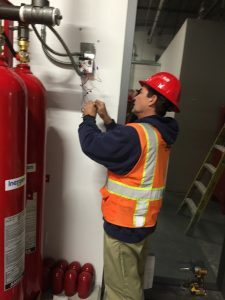 Whether you are looking to protect a small IT room, a record storage facility, or even a large substation, our experienced team will design and provide the special hazard system to protect your valuable product. From FM 200, Novec 1230, High/ Low-pressure CO2, and various INERGEN systems, A&D can provide the ideal solution to your exact suppression needs. 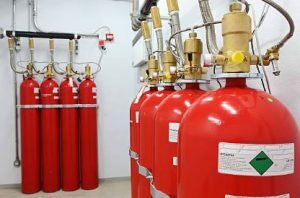 Special hazard fire protection systems are typically used in areas where the facilities or assets need to be preserved or water damage would be costly. Designed to limit the loss of assets, information and high-value irreplaceable assets. Designed to quickly detect a fire or high heat condition. Designed to suppress fires when sprinklers are not appropriate as the first and only means of protection. Designed to protect people and prevent business interruption. Require a specially trained and qualified personnel to design, install, service and maintain these systems. All systems should be thoroughly inspected, tested and documented for proper operation on an annual basis. For additional information about Special Hazards Systems, click on the below link.